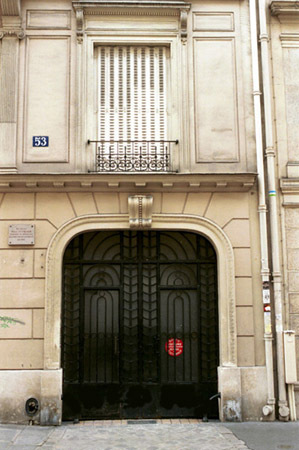 The move of Berlioz and Marie Recio from 15 rue de la Rochefoucauld to 19 rue de Boursault probably took place in August 1849. The first mention of the new address is in a letter dated 19 July, but it is not clear whether the letter belongs to 1849 or to 1850 (CG no. 1270). On the other hand, a letter to his sister Adèle dated 30 July 1849 does not mention any address (CG no. 1274), whereas the next known letter to her, dated 25 August 1849, gives the address 19 rue de Boursault which is underlined; this suggests that Berlioz wanted to draw attention to it (CG no. 1277). The likelihood therefore is that the move took place in August some time between the first and the second letter. The stay at rue de Boursault was the longest since the stay at 31 rue de Londres in the years 1837-1844 and lasted till 1856. It was while he lived there that Berlioz completed the Te Deum, and composed the oratorio l’Enfance du Christ and the cantata l’Impériale. He also wrote the book Les Soirées de l’orchestre. Berlioz could conceivably have continued to reside at rue de Boursault for much longer, but early in 1856 the steep rise in prices and rents forced him against his will to look for cheaper accommodation nearby (CG nos. 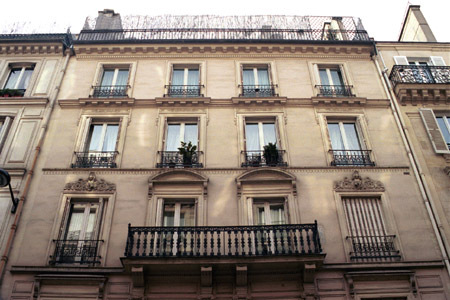 2116, 2123), and in April he and Marie Recio (who by now was his legal wife) moved to 17 rue de Vintimille. The last dated mention of the address 19 rue de Boursault is in a letter of 14 April 1856 (CG no. 2117).